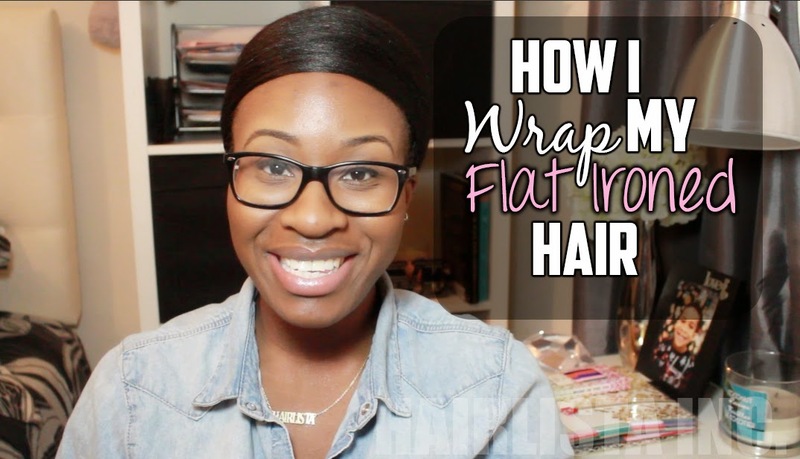 Video: How I Wrap My Flat Ironed Relaxed Hair - Hairlicious Inc.
As part of my nightly maintenance while my hair is flat ironed, I like to wrap my hair to ensure it stays smooth and frizz-free. Wrapping my flat ironed hair prevents me from using additional heat throughout the week. By wrapping nightly my new growth remains straight and I can stretch my flat ironed style for over 1 week. Here are the tools I used: - Wide-tooth comb - Boar Bristle Brush - Satin Scarf - Satin Bonnet Thanks for watching! Do you still moisturize and seal before you wrap your flat ironed hair for the night? Love your blog and videos! Started my hair journey in Nov 2013 and now my hair has never been healthier! Hi Adriana, thank you for watching! I moisturize and seal before I wrap. Moisturized hair is important to prevent breakage. I haven't wrapped my hair in ages, but I will be flat ironing pretty soon for a trim & length check so if at any time I do so, it'll probably be then! Love your hair! Looks so shiny and healthy. Can you tell me the name of Flat Iron you used?